A new book, What Wags the World (to be released Sept 26, 2014), records the experiences of more than 35 people—authors and filmmakers— from widely different backgrounds who have had profound, often mystical or paranormal experiences that gave them extraordinary perceptions of an interconnected and multidimensional universe. (I am honored to have been chosen by the authors as one of the 35.) These otherwise “ordinary” people describe how their awakenings changed their understanding of the world and how it works, how their lives changed as a result, and pass on the gifts of wisdom, insight, and compassion they have gained. 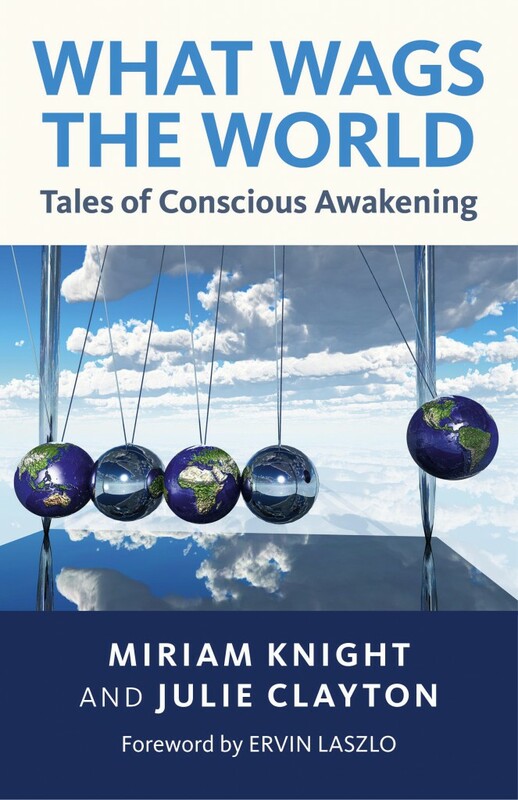 What Wags the World: Tales of Conscious Awakening is a topical and compelling collection of conscious awakening stories from more than 30 authors and filmmakers. Each contributor describes life-changing experiences that resulted in extraordinary transformation within their own life, and realizations of an interconnected and multidimensional universe. For more on What Wags the World, click here.